Cuties Mandarin Oranges are once again in season and back at McDonald's as a Happy Meal side option as well as a la carte. 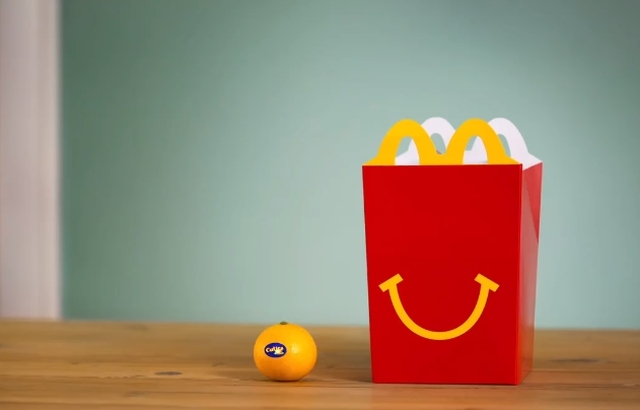 The burger chain first introduced the mini, easily-peeled citrus fruit as a Happy Meal side option starting December 2014 and apparently have sold over 38 million Cuties since. Other current Happy Meal side choices include apples slices and Go-Gurt low-fat strawberry yogurt, which are available year-round. Cuties, however will be available in McDonald's restaurant through early May this year (Cuties are in season November through April according to the brand's website).